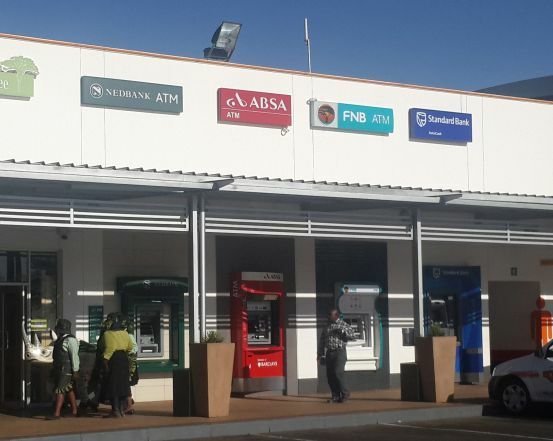 With the access to finance challenge in mind, I asked each of South Africa’s four biggest banks: “Why would a start-up or SMME choose to open an account with your bank?” I told them that I was writing an article for SME South Africa. The banks that I visited were in middle-income shopping centres in Gauteng. As many entrepreneurs don’t have easy access to the internet and frequently are not very tech-savvy, I was also interested in what support the businessperson could expect to receive in return for their patronage without having to go to the internet.Three banks told me that their institution gives great service. That’s a much abused statement and it was not always what I experienced while waiting to be served. The banks are reviewed in no particular order. FNB’s new floor layout was welcoming and friendly, and customers don’t have to wait in queues. An FNB consultant confirmed what the Solidarity Research Institute had found: their bank charges are among the lowest. I was also told that you can choose the fee option to suit your business. What do I need to open an account? FNB has a brochure which lists the documents that you need and guides you through the process. Now I want to make payments but I’m afraid of online banking. There is a quick service area with computers at each branch where a staff member will show you how to make the transactions yourself. I receive my first statement but don’t know how to interpret it. What now? You would be introduced to the branch business manager who will help you understand your bank statement. What if I am not that au fait with business procedures and need help with applying for finance? The branch business manager will assist you with making the application. So now I’m into ‘high finance’ but I need to be able to do my own bookkeeping. FNB gives you free access to Instant Accounting software. How can I take advantage of BBBEE so that I can get contracts with big companies? You can join a workshop that FNB organises for clients to help them to run their business more effectively. My face-to-face experience was good but why would an entrepreneur approach FNB in the first place? There is nothing on FNB.co.za that talks to the needs of entrepreneurs and SMMEs. There isn’t anything that says: how can we help you, the start-up or small business owner? An enterprise manager at ABSA told me that he was not allowed to make statements that may be reported in the media and referred me to their Media Department at Head Office. I am enquiring as a potential small business customer would and only want to know how the bank would support an entrepreneur. Sorry. I mentioned the ABSA Enterprise Development Centre in Johannesburg and he confirmed that it existed but would not answer any other questions. ABSA’s website boasts of their Banking Solutions for Small Businesses: You can book an appointment through their Small Business Support Centre during SMME-friendly hours. They offer SMMEs funding for government contracts. ABSA has Enterprise Development Centres in 8 provinces where SMMEs can walk in and get assistance. You may get legal advice and business services, and be invited to business events. But I did not know all this until I visited their website. A business banker at Standard Bank told me that entrepreneurs would choose Standard Bank because of its reputation as an established bank. They get clients through word-of-mouth referrals. How would I open an account? Bring the required docs (ID, CIPC registration and proof of residence) and the business manager will open the account for you. And applying for finance? Standard Bank provides you with a template to help you to draw up a business plan that will support your application. What if I as a small business don’t yet meet the bank’s criteria for finance? The bank can advise you of alternate sources of finance. As an entrepreneur, I know my product or service but I need help with running my company. There is a wealth of support on the banks BizConnect website. If you do not have access to the internet, a branch consultant should be able to give you advice. And how could I take advantage of my BBBEE status to get contracts with companies? You should ask your prospective client for advice. Lastly, why should I as an entrepreneur choose to open my account at Standard Bank as opposed to another bank? Standard Bank uses technology to improve its efficiency. But, in the end, you will make your decision based on the service that your bank gives you. It’s not obvious from the Business page on the Standard Bank website that they provide support specially for small businesses, unless you know to click on BizConnect. Here you will find what you need to start, manage and grow your small business. They’ve got tools (like business plan templates) to help you with your finances, marketing and legal issues. There are tips and how-to guides (like generating leads) for SMMEs. You can learn about cashflow projections and income tax and BBBEE. But all this is not of much use to the entrepreneur who is not tech-savvy enough to access it. So, how would I open an account? A business banker would help you with that. How easy is it for a small business to make business transactions? You can bank using the computers at the branch or with the cell phone app and see all your transactions on your phone. And applying for finance? Again, a business banker would advise you and help you draw up a business plan to support your application. The likelihood of your application’s success depends on standard criteria, like your credit record. If I need SMME-specific advice, like BBBEE registration, can you help me? Contact the Nedbank Small Business Services Client Contact Centre (which has extended operating hours) and they will be able to help you. What about business advice for the person who is new to running a business? You can also access Nedbank’s Small Business Services on its website. If you can navigate the web, you will find all sorts of goodies for start-ups like free banking, a free website and online accounting, on the Nedbank website. They also offer a small business skills development toolbox and mentorship with Business Partners. Then there’s SimplyBiz. SimplyBiz is Nedbank’s dedicated small businesses portal where you can learn everything that you need to know to start, grow and run your business. You’ll find help on using social media to grow your business, to advice on drawing up a marketing plan. My first-hand research showed that the banks each treated small businesses differently and even when a bank prioritised SMMEs, they didn’t always make their support easily accessible to the entrepreneur. So, what is important to you as an entrepreneur, when choosing a bank? Click here if you want to discuss how we can help you with banking. Where do you bank? Does your bank cater to your particular needs as a small enterprise?